Spend your day in the Pink City by air conditioned vehicle with an English speaking guide! Grab a photo opportunity at Hawa Mahal (Palace of Winds) and take photos from outside! A convenient hotel pick up and drop off will make sure you get back safely from your adventure! 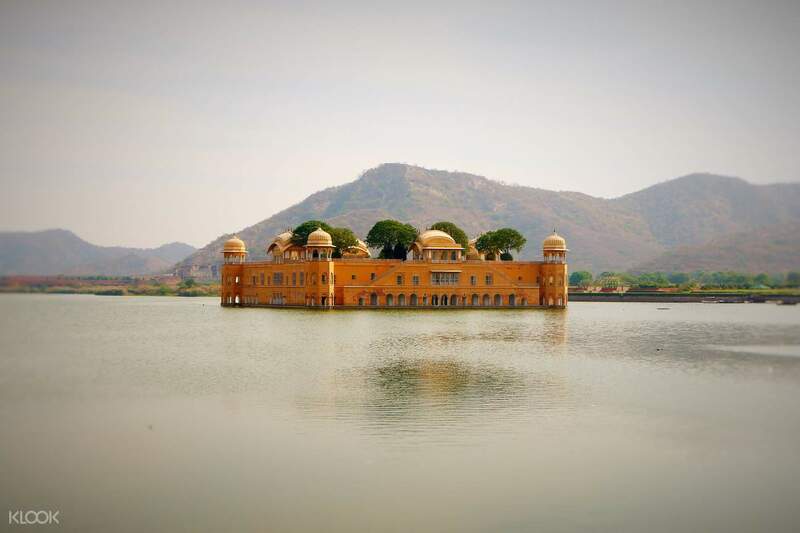 If you've only got a day to spare in Jaipur, this is the tour to get: a whole day of touring the finest sightseeing destinations in the city while accompanied by an English speaking guide who'll give you great background information on each of the stops. 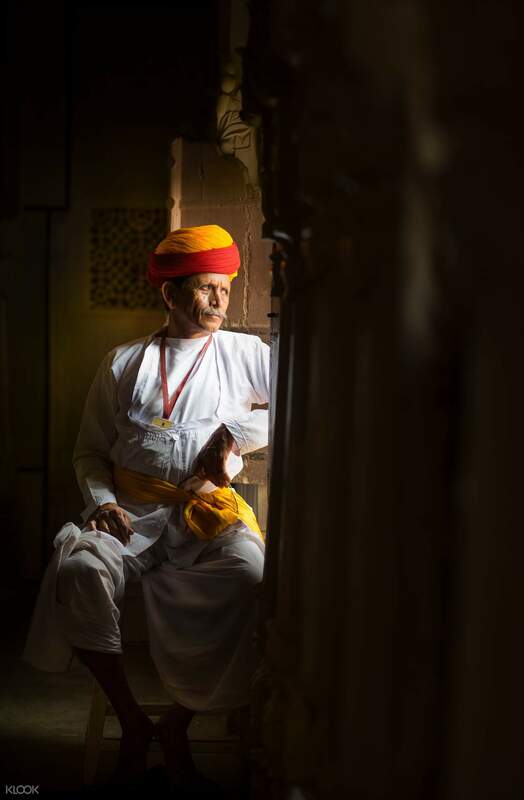 From your hotel, you'll be picked up in convenient transportation that first takes you to the dazzling Amer Fort, a UNESCO World Heritage site of red and white sandstone. This incredible piece of ancient Indian architecture portrays numerous rooms which depicts cultural history, from the carvings on the ceilings and walls to depictions of ancient rulers. 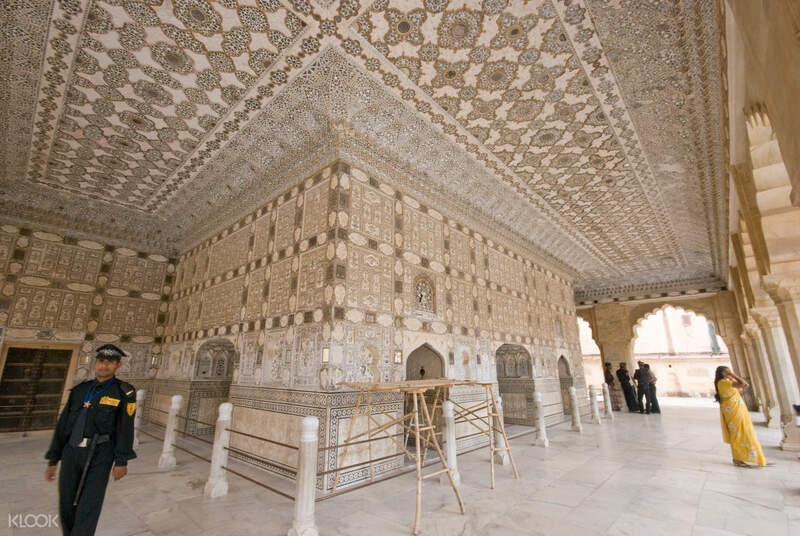 You'll see the Jai Mandir Temple within it as well as the Sheesh Mahal hall of mirrors. 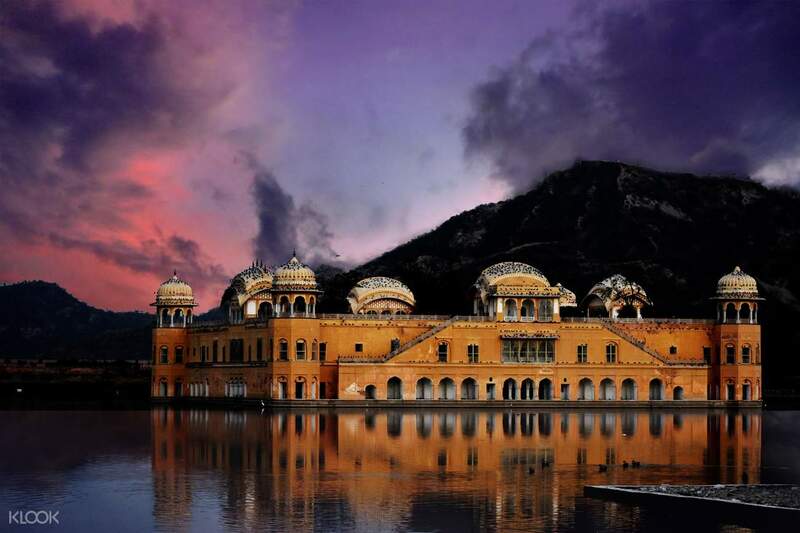 Then you will head to the Jal Mahal, or the water Palace, a low rise symmetrical wonder which was once a maharajah's shooting lodge. After this, you'll see the Hawa Mahal, or the palace of Winds, which is a five-storey pink sandstone palace and another architectural masterpiece of ancient India. You'll visit a local home to hear historical stories and enjoy a delicious vegetarian Thali lunch, or you might opt to go to a restaurant instead. After lunch, you will head to Jantar Mantar with its fascinating collection of architectural and astronomical instruments. You'll head off the beaten tourist path afterwards by going to hidden temples and stepwells, before you head back to your hotel. 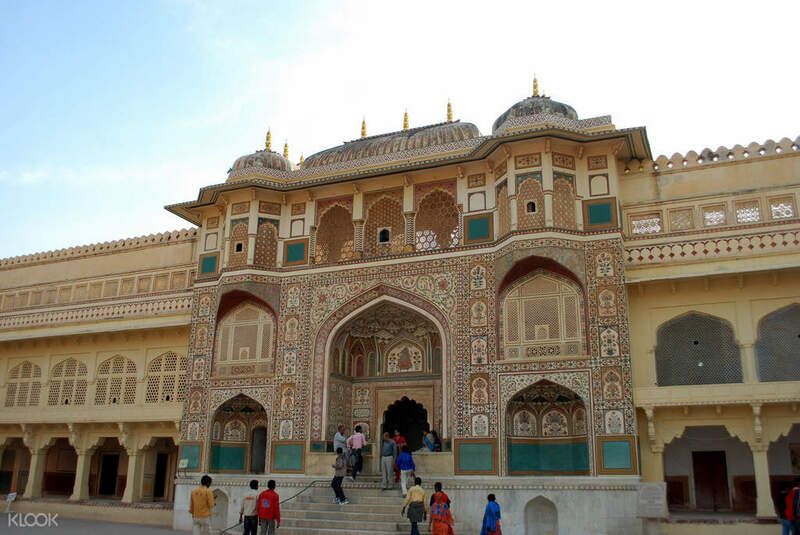 See the most beautiful sights in all of Jaipur in this full day tour! We are very happy that we got Klook car service. It makes our trip very smooth and comfortable. I would suggest would be traveller to get Klook car service. the place is terribly chaotic, noisy and drivers are undisciplined hence.tour guide n car service is a must. We are very happy that we got Klook car service. It makes our trip very smooth and comfortable. I would suggest would be traveller to get Klook car service. the place is terribly chaotic, noisy and drivers are undisciplined hence.tour guide n car service is a must. The tour guide reached earlier than the expected time to pick us up for the trip and he is very knowledgeable about the history of the places we are going.He is very friendly and helpful while we went to Agra Fort, Water Palace, Step Well, City Palace and Wind Palace.Its a wonderful trip and we also drop by the textile shop to see if we like to get any souvenirs for ourselves. The tour guide reached earlier than the expected time to pick us up for the trip and he is very knowledgeable about the history of the places we are going.He is very friendly and helpful while we went to Agra Fort, Water Palace, Step Well, City Palace and Wind Palace.Its a wonderful trip and we also drop by the textile shop to see if we like to get any souvenirs for ourselves. It was super worth it taking this tour. The guide Mr. Manish brought me everywhere in Jaipur safely and explained everything properly. I really appreciate this tour. Thank you so much Mr. Manish! It was super worth it taking this tour. The guide Mr. Manish brought me everywhere in Jaipur safely and explained everything properly. I really appreciate this tour. Thank you so much Mr. Manish! Driver & tour guide punctual. A day before the scheduled time the agent would contact and confirm via email. Tour guide very informative despite looking a bit agitated as we took such a long time to take photos but he's all smile. We opt not to go to gem factory and there was no pressure & they just follow. Driver & tour guide punctual. A day before the scheduled time the agent would contact and confirm via email. Tour guide very informative despite looking a bit agitated as we took such a long time to take photos but he's all smile. We opt not to go to gem factory and there was no pressure & they just follow. The driver and the guide arrived at our hotel on time and the tour was nice and pleasant. The car we got was in a good condition and equipped with air conditioning. The schedule is pretty flexible as you can adjust the plan if you do not feel like going to all the sightseeing spots. Just talk to your guide and discuss the plan and he will try to make it happen for you. The driver and the guide arrived at our hotel on time and the tour was nice and pleasant. The car we got was in a good condition and equipped with air conditioning. The schedule is pretty flexible as you can adjust the plan if you do not feel like going to all the sightseeing spots. Just talk to your guide and discuss the plan and he will try to make it happen for you. That was good experience for my family. Travel agency was good. Thanks Klook. That was good experience for my family. Travel agency was good. Thanks Klook. Very nice and happy guide brought us good memories in Jaipur! Very nice and happy guide brought us good memories in Jaipur!